Various sets of people in the society including, government workers, students, traders and business people find okada business a great relief from the congested traffic situations that are sometimes common sight during the rush hours in the morning and afternoon when schools and offices close. They are readily available to take you back home after that TGIF night party, they are the ones who are up early to transport the workaholics amongst us to their place of work before 7am, they are the ones who have the super abilities to maneuver through that hot afternoon traffic gridlock so men don't loose good appointments or a date with that girl you've been crushing on, they are the ones who are able to transport you into the far end of your street where buses or taxi don't ply. Unfortunately, it is no news that the rise in okada usage has been accompanied by increased occurrences of risky driving, accidents, and crimes - at least our ladies who have lost their fine arm breaking designer bags are our witnesses. Yes, we know them by their stripes. They account for 80% of the scratches on your car, in an accidental occurrence - they are always right and you are always wrong, they are the primary cause of road accidents in major cities, hit or get hit by one and the rest of the pack comes running to the rescue. As a result, both the riders and the business have come under heavy attack culminating in legislations restricting or prohibiting their operations in some Nigerian cities. The rate of okada accidents which are fatal and crippling are way more higher than that of automobiles and this poses a serious threat to the security, live and property of Nigerian citizens. 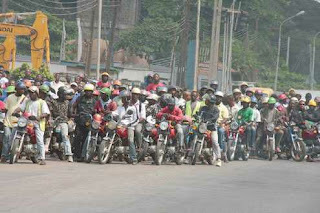 It is very obvious that Okada riders neither care about the law, nor about people on the streets. You find them all over the streets, and they do not care for lanes demarcated for incoming or outgoing traffic, when a motorists is moving across a crossroad - an okada rider riding at full speed still expects the motorist to stop for him to pass! No, I'm just curious - who will survive the crash??? One thing I have come to notice from my daily encounter with okada riders is that when they are on their motorcycles they are another different person entirely like someone flipped a switch or something. Also, we have cases of okada riders carrying more than one passenger at a time. A machine which is designed to carry just one passenger is seen carrying up to three or four passengers and most cases always involves children. Peugeot And Micro Set To Release The e-kick Scooter. 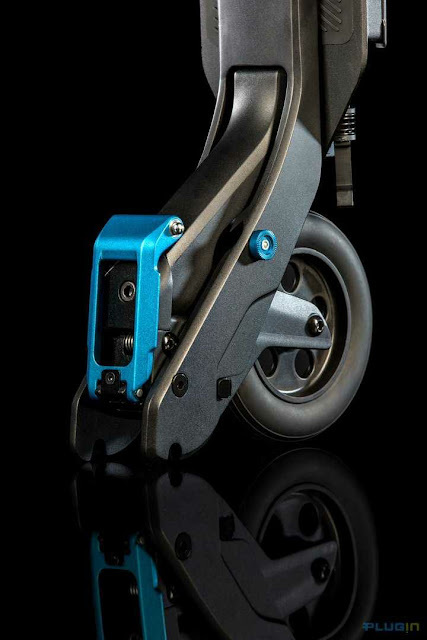 "Peugeots's e-Kick provides a top speed of 25km/h (15 mph), and a powered range of 12km"
Peugeot partnered with swiss manufacturer Micro to design the e-Kick, an electric-assisted scooter, that is said to provide an “unprecedented multi-modal mobility experience”. 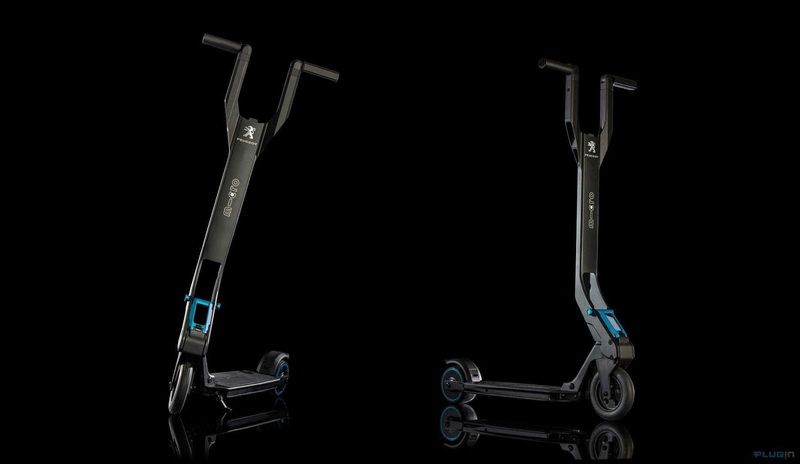 The scooter which was unveiled on 23rd of May during the launch of THE NEW PEUGEOT 3008 SUV, weighs only 8.5 kg and allows for speeds of up to 25 km/h with a 12km range. 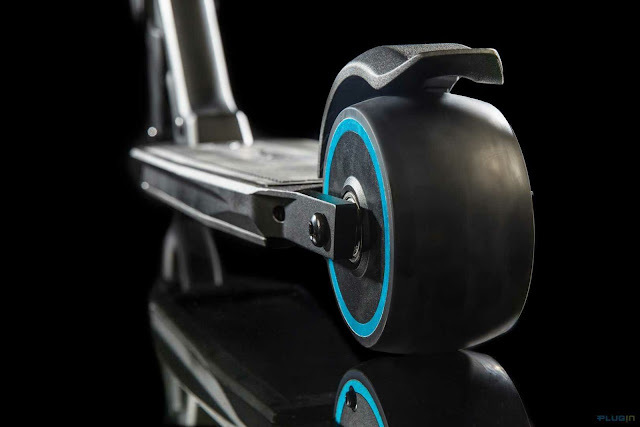 - A Lithium Ion battery, built into the ultra-thin platform with the motor integrated directly into the rear wheel. - It's equipped with a foot-brake that is accompanied by a regenerative engine braking system that recharges the battery. - An innovative handlebar designed by Peugeot Design Lab - a mechanisms that allow the scooter to be neatly and easily folded before you are done blinking. 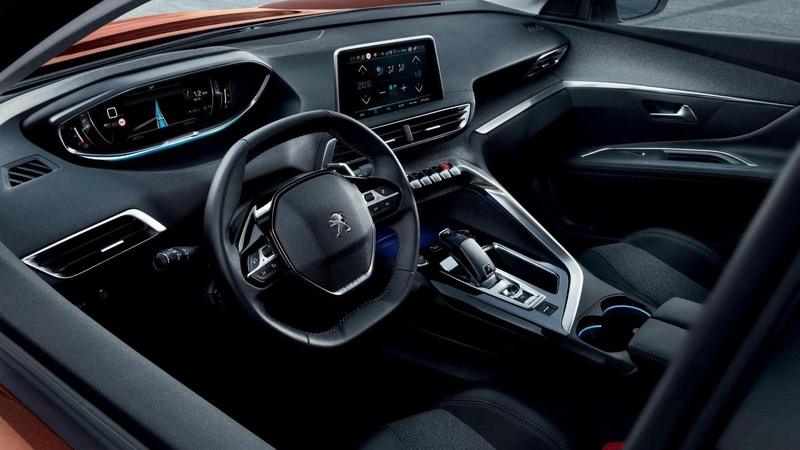 - Accompanied with an in-built dock station in the boot of the all new Peugeot 3008 SUV where The e-Kick can be stored to recharges the battery while the vehicle is driving. The e-Kick will be sold by both PEUGEOT and MICRO staring in the last quarter of 2016 but the price is not certain. Comparing The Peugeot e-kick to The Audi electric longboard-scooter, which do you think is more efficient? Let us know in the comment section below. Peugeot has a strong record of producing good and reliable cars and I don't think they will be done anytime soon. 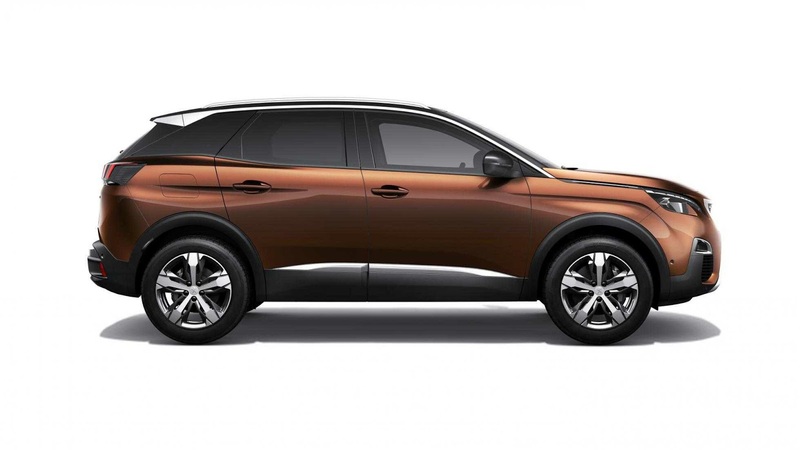 This time they came back in a grand style with The All New Peugeot 3008 Compact SUV and I think this is to show its popular Japanese rivals that they are here to stay. The 3008 SUV interior is big and spacious, measuring up at 4.5m long, 1.8m wide and 1.6m tall. 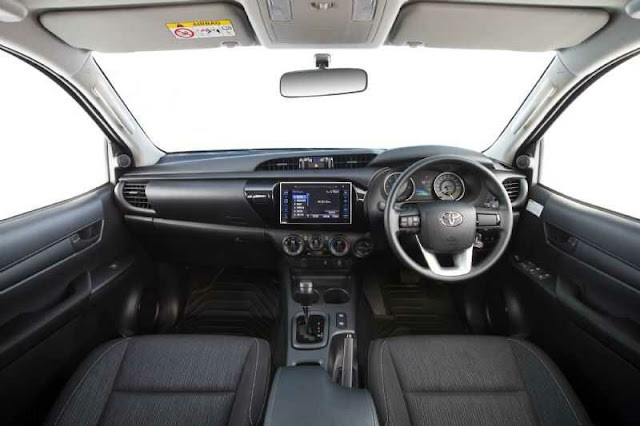 Revealing its new i-Cockpit which comes with 12.3-inch digital interface, Apple CarPlay and Android Auto, accessible through an eight-inch touchscreen right in the centre console. The 3008 also comes with other features like city auto braking, lane keep assist, automatic high beams, plus road sign recognition, blind spot monitoring and adaptive cruise control, anti-collision warning, and a 360-degree camera that helps with parking in tight spots. 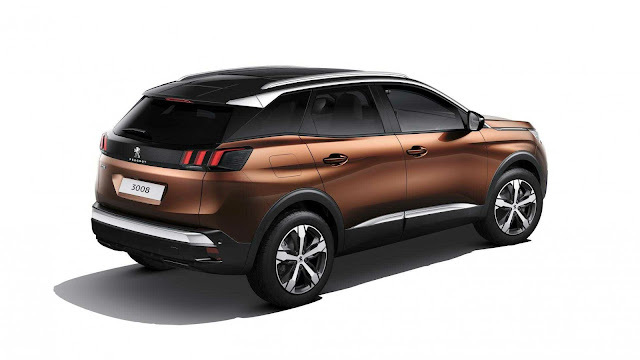 The 3008 engine will come in 1.2-litre and 1.6-litre petrol units, and an optional 1.6-litre and 2.0-litre diesel engines. The 1.2 litre packs 128bhp and will come with a six-speed manual or automatic transmission while the 1.6 litre packs 163bhp but comes with just an automatic gear box. 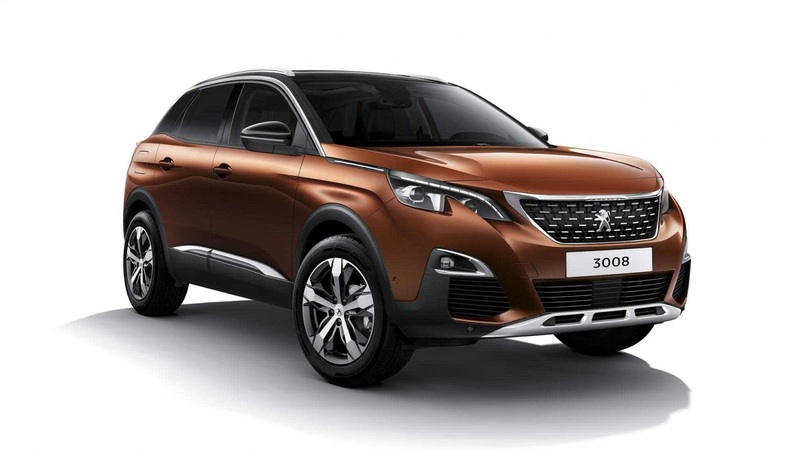 The new Peugeot 3008 will be unveiled officially at the 2016 Paris motor show scheduled to take place in September 2016. Peugeot has high hopes that the new model will kick out popular competitors, such as the Nissan Qashqai, lets just hope the Peugeot 3008 Compact SUV is up to the task. What do you think about the new SUV? Shard with us in the comment section below. Kia And Uber In Partnership To Provide Free Rides. "Kia Nigeria has partnered with uber to provide free rides for down payment of vehicles and is offering N5000 off all first rides"
Kia Motors Nigeria, is set to raise the bar in customer service which is enjoyed by all Kia customers. Widely known as two of the nation’s premier customer service providers, both companies are committed to providing the very best customer service. This strategic partnership will boost the number of drivers on the Uber platform by fivefold to an estimated 3000 at the end of 2016. Also, initial cost for new partners will reduce and allow them get a vehicle from as low as N95000 per month. 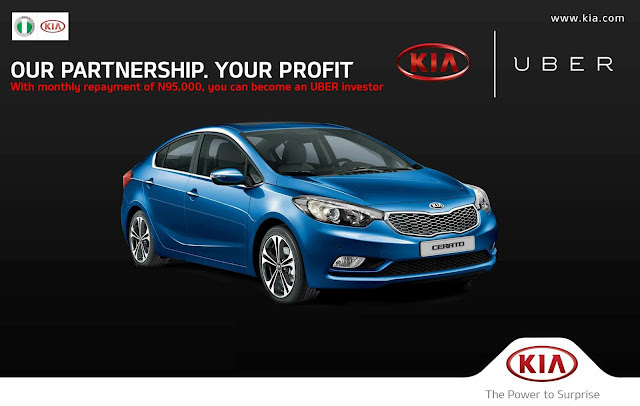 "Since its launch in Lagos, a year ago, Uber has created more than 600 job opportunities"
The Kia-Uber partnership is committed to making the people become Uber investors with an affordable state-of-the-art Kia model range. Partners on the Uber platform stand to make up to N100,000 a week and they have the choice of either drive themselves or hiring a driver from trusted driver agencies. Globally, there are over a 100,000 partner drivers currently operating on Uber’s network. Uber is not only set on changing the way people connect with their cities, but they are also creating thousands of investment and work opportunities along the way. This promotion will run from the May 23rd to 20th of August, 2016, and will be available to all Kia customers. New to Uber? Get N5000 credits for your first ride. Get a first FREE ride up to N5000 and ride in style around Lagos! To take advantage of this offer, simply sign up at https://get.uber.com/go/KIARIDES using the promotional code: KIARIDES and the promo code automatically applies to your trip. > Download the Uber app for FREE from Google Playor App Store. > Type in pick-up location and destination. > Use promo code: KIARIDES and get N5000 off yourfirst ride. > Request the ride and have the driver available in a few minutes. What do you think about this latest development? Let us know in the comment section below. Transportation is a major aspect of urban life. 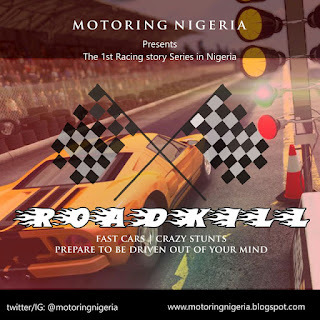 In Nigeria, the most preferred means of transportation is by road and one of the most accessible forms of road transportation after the motor car is the two-wheeled cycle, popularly called okada. Let's go a little back in time, am sure most people don't know nor remember how the name "okada" came about. The name okada was borrowed from Okada Air, a Nigerian local airline, now defunct. In its time, Okada Air was the most popular Nigerian local airline, but was not known for its comfort. The motorcycle transports were nicknamed after the airline, because they could manoeuvre through the heavy traffic of Lagos, and take passengers to their destinations in a timely manner, in the same way as the airline. Unlike the airline, the nickname "okada" outlived the airline from which it originated, which many Nigerians no longer even remember. The motorcycle taxi (Okada) is believed to be fast, affordable and accessible. I mean, it is way much better compared to walking long distances or waiting for a bus but as good as it seems it also has its bad and ugly sides. 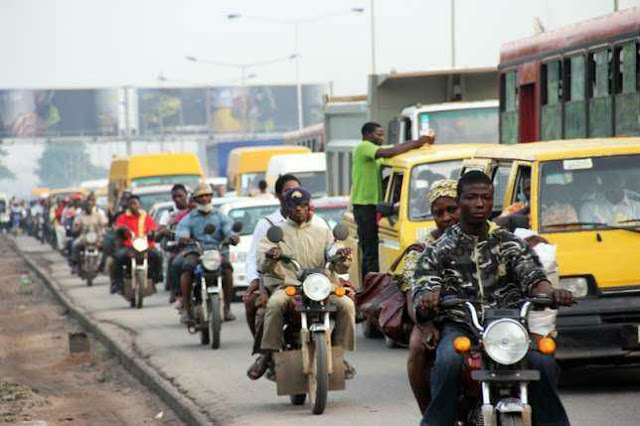 The motorcycle taxi has been in business since the 1980s and has come to be generally accepted by Nigerians. Motorcycle business has proven to be lucrative and It has become a means of livelihood for most of our unemployed youths especially university graduates who are having a hard time getting a job. It is a positive thing that most of our youth are engaged and generating incomes for themselves but they are not the only ones exploring this money making opportunity. Do you think the okada business has helped in the area of job employment? If yes or no, Let us know your reasons and any other objections in the comment section below. 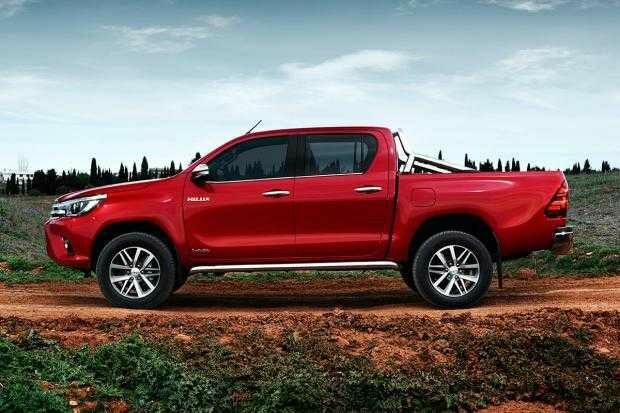 All New 2016 Toyota Hilux, Price, Specs And Release Date. The all-new 2016 Toyota Hilux, will reach the UK in July armed with a downsized, more efficient diesel engine, a stiffer chassis, and a more premium SUV-like interior. Toyota has released full details of the new Toyota Hilux, which is available to order now. Hot on the heels of several new pick-up trucks, including the Ford Ranger, Volkswagen Amarok, Nissan Navara and Mitsubishi L200, the Hilux gets a 148bhp 2.4-litre diesel engine and a starting price of £19,177 excluding VAT. 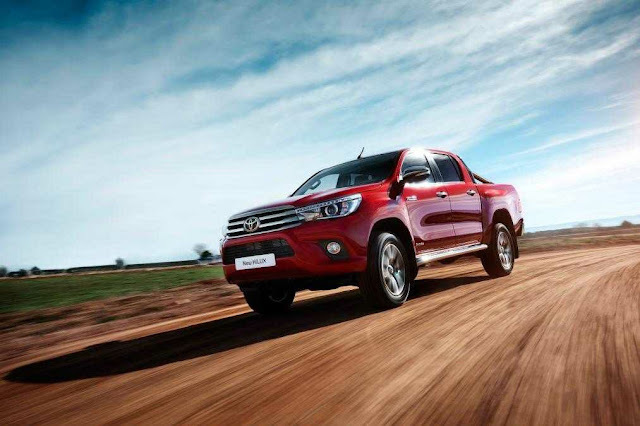 The Hilux, unlike its rivals is now in its eighth generation and is widely regarded as the leading go-anywhere vehicle for durability and reliability. Chief engineer Hiroki Nakajima referenced “toughness”, particularly in terms of its day-to-day usability, as the thing his team has worked on most to improve in the new model. As such, the Hilux has been made more SUV-like to give it broader appeal. The new Hilux is longer, wider and lower than the outgoing model, meaning there's more internal space and a bigger cargo bay than before. It is built on a new ladder chassis that’s 20% stiffer than the previous Hilux’s. Toyota says the new Hilux has been tuned for improved handling, greater steering stability, and improved NVH. The suspension is double wishbones at the front, and leaf springs at the rear; it has been revised for improved wheel travel (up 20%) and an improved towing capacity of up to 3.5 tonnes. The bodyshell has been formed from strong but light high-tensile steel, and the number of spot welds in the body has almost doubled from the old Hilux to 288 to further improve rigidity. 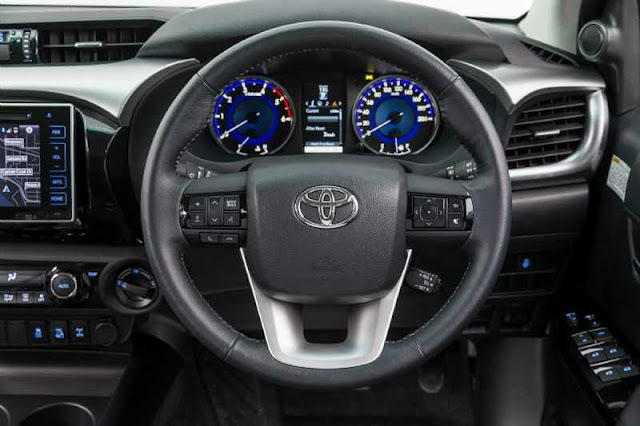 The switchable all-wheel drive Hilux is also packed with electronic driver aid and safety systems. Included is a Pitch and Bounce Control system to stop those in the cabin from being bounced around over broken road surfaces, and a full suite of trickery to boost off-road performance, including an Active Traction Control System that brakes individual wheels as they lose traction and sends torque to wheels that have grip. In fact, Toyota claims the Hilux now has the off-road ability of a Land Cruiser. That desire to be more SUV-like not only comes in changes to the body, chassis and suspension to improve ride and handling, but also to the interior, which is much plusher and tech-laden than the previous Hilux’s. 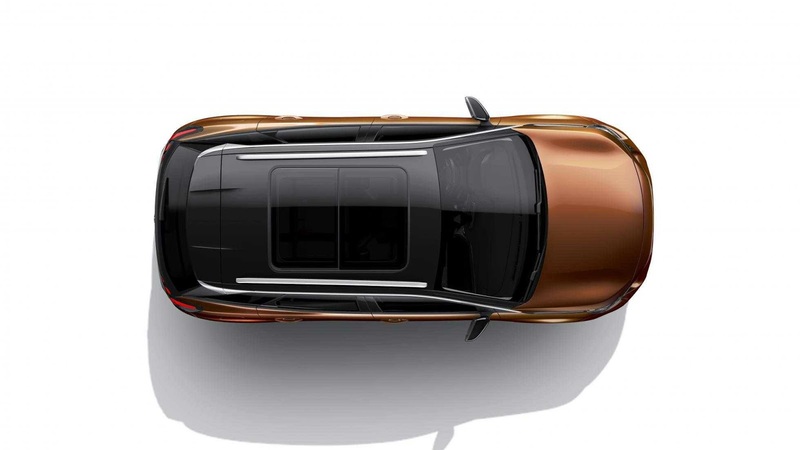 The cabin is more spacious, and its NVH is said to have been reduced to passenger car levels. Toyota has also increased the size of the Hilux’s cargo deck, and made it and the tailgate stronger. Various lockable covers and rollers can be added as options. Four trim levels are offered for UK buyers: Active, Icon, Invincible, and Invincible X. The Single Cab and Extra Cab models are only available in the base trim, while the range-topper gets a leather upholstery and a sat-nav in the upgraded multimedia system. Alloys measuring 17in and 18in in diameter are offered. All this new techs will make one want to get behind those wheels. What do you think? Let us know in the comment box below. 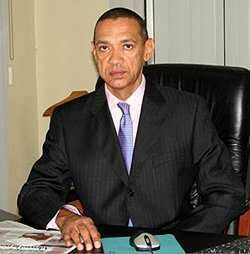 "Senator Ben Bruce, has urged the Federal Government to come up with a mass transportation policy that would cushion the effect of new price of petrol." The senator made the call while speaking with newsmen on Tuesday in Abuja. He said that concern being expressed and the agitation generated by the new price of fuel was due to lack of a transportation policy. According to him, "nationals of other countries do not know the cost of petrol in their countries because the cost of transportation does not change when petrol price increases as there is a good and organised system of mass transportation where individuals do not have to bear the direct cost of transportation’’. So, the Minister of Labour and Productivity, the Minister of Transportation and the Minister of Petroleum Resources should sit in a room and come up with a mass transit policy. They should draft a policy like they have in other parts of the world with a regulatory authority. “In other words, if a bus owner generates N10,000 a week and you deregulate and you increase the price, the Federal Government says I will give the bus owner N5,000", He said. I have done the calculations across the country and it will cost the government for every single city in Nigeria less than N100 billion, which is far less than the N1.2 trillion Nigeria spent subsidising petrol. “The solution to this problem is simple; it is clear that successive governments did not stop to think and find a solution to this problem,” he said. He said that the hardship which Nigerians were going to face due to the new price of petrol was because a lot of emphasis was placed on the price of petrol. The lawmaker said that the resultant increase in the cost of running vehicles should be marginal and as such prices should also go up marginally and not at 100 per cent. “Everybody in Nigeria knows the price of fuel but if you go to London or you visit London, nobody knows the price of petrol in London. Nobody knows the price of petrol in South Africa, and nobody knows the price of petrol in Sweden. What you know is the price of transportation that is all that matters.“ If the government has a mass transit policy and all of us here go by bus and it cost you N200 to go to work and you deregulate and it still cost you N200 to go to work nobody will protest. “If it cost you N500 to catch a taxi before deregulation and after deregulation it cost you N500 nobody will complain,” he said. He said that he did not expect prices of food to go up because government had withdrawn subsidy from diesel, which most of the trucks conveying food relied on. “So, you have deregulated diesel and so you have a regulatory authority that controls what a truck driver should charge. All your trucks bringing in the food stuffs use diesel, therefore, if they deregulate cost of food stuff in Nigeria it should not rise because you already paid N165 a litre for diesel,” he said. The senator also called on the Federal Government to dialogue with the new militants in the Niger Delta region. What do you think about this? Do leave your comments below. How To Drive A Manual Transmission/Stick Shift -1. Have you ever wanted to learn at least the basics of how to drive a manual transmission? Driving a vehicle with manual transmission, also known as a stick shift, can be seen as intimidating and stressful by many either young or old. Many drivers go through life without owning or even driving a manual transmission, but it is a good skill to have as these types of vehicles are popular and you never know when the situation where you have to drive one may present itself. Someone who knows how to drive a manual transmission car can also easily drive an automatic, but the reverse isn’t true. Better to know it and not need it, than need it and not know it. Manual transmission cars are generally less expensive than automatics. Because very few people today know how to drive a stick shift, the demand for them is low. You would also love to know that manual transmissions get better gas mileage than automatic transmissions. If you have an interest in fuel economy, you want a car with a stick shift. Cool cars, such as vintage cars or older sports cars and even today's high performance cars, often come with sticks! I mean, it makes no sense driving an high performance vehicle and all you do move and stop. It's no fun at all compared to an high performance car with a manual transmission. However, this fun is considerably less if you drive in hilly or mountainous terrain often or commute in stop-and-go traffic. But when you master the skills of driving a stick, you will never switch back to an automatic. Here’s our simple guide on how to drive manual transmission/stick shift. * FAMILIARIZE YOURSELF WITH YOUR COCKPIT. First, you would want to get acquainted with the components of your dashboard down to the pedals and stick. - The pedals: which includes the clutch, brake and gas/accelerator. 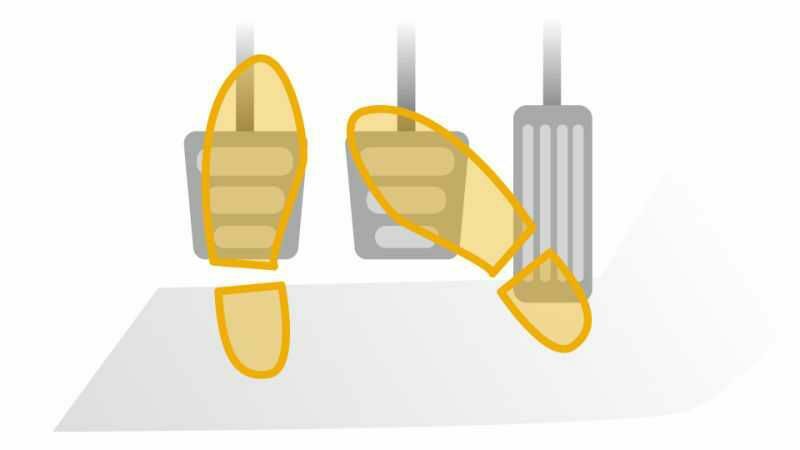 > The clutch pedal – which is absent on your automatic transmission car, is the pedal on the far left. You press the clutch pedal down completely before you shift gears up or down (Gear 1 to 5 or the reverse). The clutch disengages the spinning engine from the spinning wheels and allows you to switch gears without grinding the teeth of each separate gear. > The brake is the pedal in the middle, it’s used for slowing down or bringing the car to a full stop. > The pedal on the far right is the gas/accelerator, it is used for increasing your car speed. Works like the gas pedal on your automatic transmission. 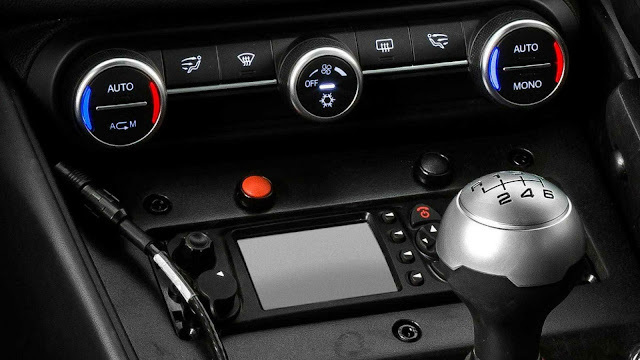 > The gear/stick shifter: The gear shifter shifts the gears on your transmission, from one to five then reverse gear. 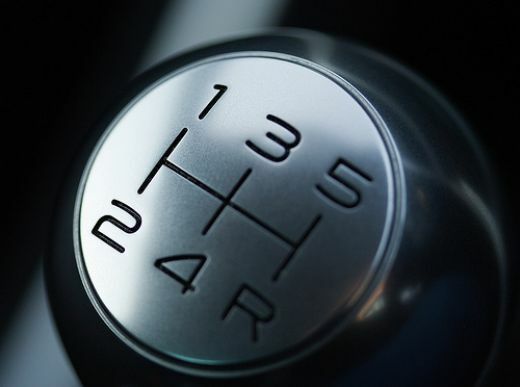 Some older cars might come with four gears but most modern manual transmission vehicles come with five or six gears. On the knob of the gear shift you’ll find a diagram that shows each positions of the shifter in order to engage each gear. > The tachometer: On most manual cars, there is a gauge on the dashboard called the tachometer. Higher RPMs mean more power, but there's a limit to this rule. The red area of the gauge, called the "red line," signifies RPMs that are too high for your engine. Shifting gears allows you to keep the RPMs from reaching this level. The tachometer shows you how many revolutions per minute you are going. As a beginner driving a stick, the tachometer is a good way to help you determine when you should shift your stick up or down. Generally, you should shift gears up when the tachometer is around “3” or 3,000 RPMs; shift down when the tachometer is around “1” or 1,000 RPMs. After some time of driving a stick shift, you’ll be able to figure out when to shift by the way your engine sounds and feels. If you are still having doubts then you should keep this at your finger tips. i) When in motion and you are not sure if to shift up or down, shift up. This way you will do less damage to your car if you shift to a higher gear than a lower one, since the engine won't be revving. But if it feels like the car is being held back even after properly releasing the clutch then you should downshift ( Not releasing your leg for the clutch properly could cause your car to stall). ii) If you find yourself moving up on an hilly road, make sure it's at a low gear (Gear 1 or 2, preferably gear 1 depending on how hilly the road is). The steeper the hill, or the heavier the load in your car, the longer you should stay in a low gear. This will keep you from revving your car's engine. Well, let us leave you to get acquainted with your cockpit. We shall be back to see if you're ready for the next stage of stick driving. Please do leave your comments or reactions below. 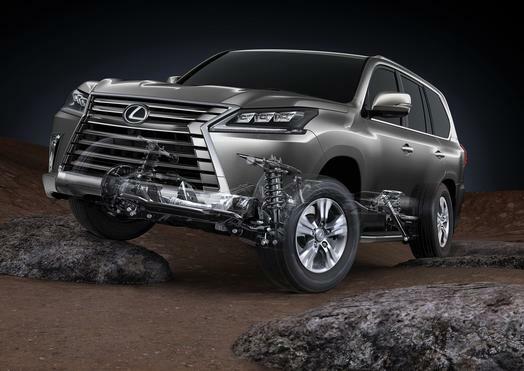 "The 2016 Lexus LX 570 is a plus-sized luxury SUVs with solid truck underpinnings and big-displacement V-8 engine." The LX 570 has always been a popular car on the streets of Lagos, mostly seen with Lagos big boys, in convoys of politicians, also used as a family haulage. 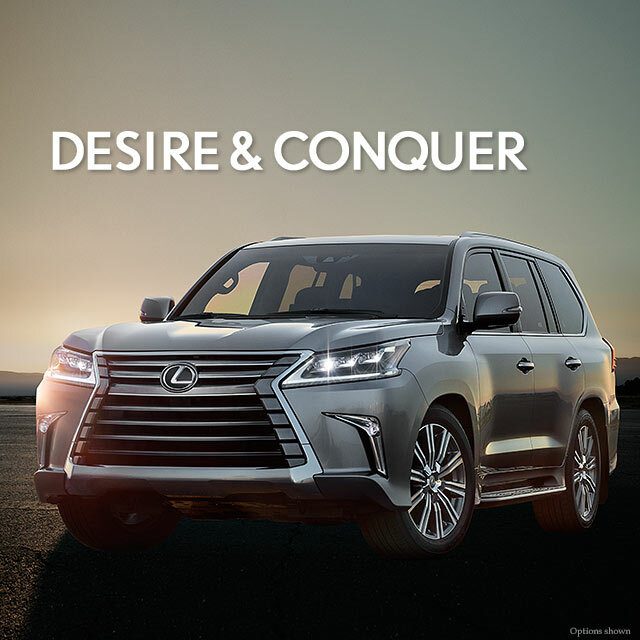 Lexus has over the years made the LX a big competitor to Range Rover, vogue supercharged, even as it is built on the same body on frame as the Toyota land cruiser. This year, the automaker has given the LX its second major reform in this model's generation, which started with the 2008 model year. The look is very different from the previous model, with its facelift at the front which consist of a spindle grille, LED headlamps, turn signals, and fog lamps. This gives it an upright look, with well sculpted fenders and high shoulders, that has muscled up the LX since the last redesign. 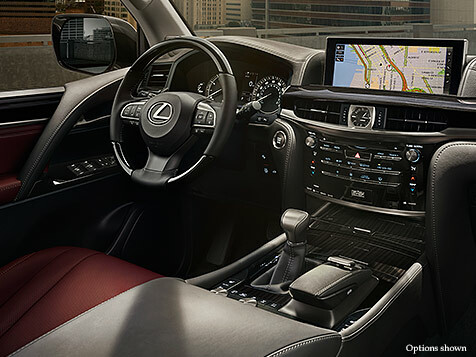 Inside the LX there are some modest changes to the interior, it now has a big 12.3-inch infotainment screen, and the cabin is trimmed in some warmer, upgraded materials. 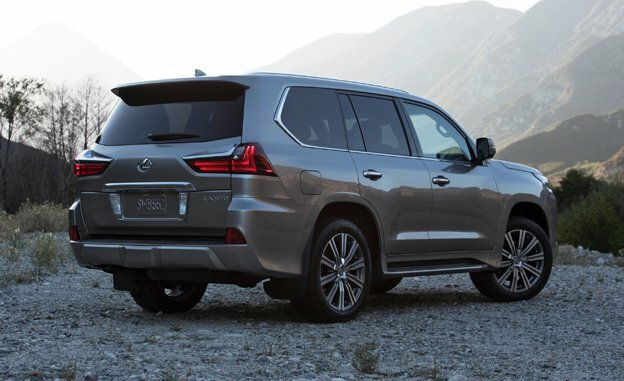 The 2016 Lexus LX 570 carries a strong 383-horsepower, 5.7-liter V-8 engine. This model has had that for quite a few years, but this year it gains an 8-speed automatic transmission in place of the outgoing model’s 6-speed. The LX is very suitable for offroading, it not like owners will actually take it off road but it good to know it has that feature. For a passenger, the LX 570 is delightfully spacious. There's room for seven. The front seats are comfortable and they sit quite high like the Range Rover, the second-row bench powers to and fro for more leg room, 'a quality a Lagos businessman looks out for'. The LX 570's big V-8 has a high tendency to penalize the fuel economy. The fuel economy is estimated at 13 miles per gallon city, 18 miles per gallon highway, 15 miles per gallon combined, (4.5 litres equals 1 gallon); which simply means 'it go chop fuel' but with the luxury the LX offers buyers won't compromise. What do you think about the 2016 LX 570? Let us know in the comment box below. FRSC Wages War Against Vehicles With Expired Tyres. 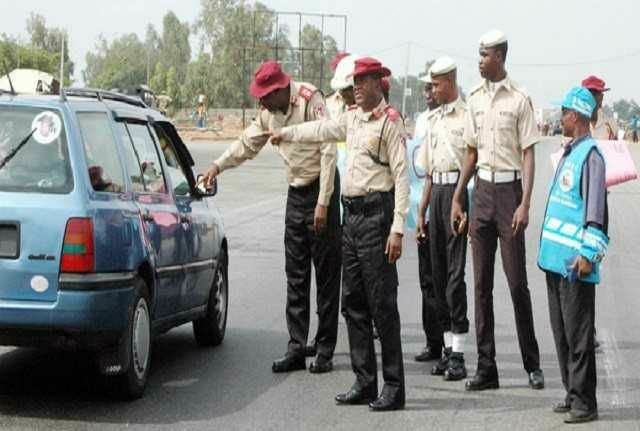 If you have been driving lately you must have noticed FRSC officers waving down some cars to check out their tyres. Don't be scared, it is just a protocol to curb the consistent highway mishaps. The Federal Road Safety Commission(FRSC) on Monday said it would begin to confiscate vehicles with expired or substandard tyres. Boboye Oyeyemi, the Corps Marshal of the agency, stated this at a stakeholders’ forum in Abuja, organised by the FRSC to enlighten motorists on the dangers of bad tyres. Mr. Oyeyemi said the measure became necessary to curb incessant road accidents usually caused by poor tyre usage in vehicles. “What we’re going to commence immediately is that any vehicle that has expired tyres or substandard tyres, we’re going to impound the vehicles,” Mr. Oyeyemi said. After impounding it (the vehicle), we’ll ask the owner to go and replace it with a genuine one. The passengers we’ll arrange for their continuous journey so as to reduce the pains. But I will not allow an expired tyre fitted on a vehicle to continue the journey,” Mr. Oyeyemi said. “Nigerians will have to choose between life and death. It’s either you use a fake or substandard tyre and then with the temperature of 41 degrees have a tyre blow out and a life is lost or you buy a genuine tyre and play safe." "New tyres are not so costly: with N11,000 now you can get a new tyre, whereas these fairly used tyres cost between N5,000 and N6,000: the choice is yours,“ Oyeyemi said. Mr. Oyeyemi also decried the lack of tyre manufacturing companies in the country and appealed to appropriate authorities to do their utmost best in ensuring that the situation is addressed. Nigeria is too big not to have a tyre manufacturing plant. That is the bane of the problem we have on ground today. Amidst the current economic situation lets ensure that our cars are kept in good working conditions. What do you think about this new development? Lets us know in the comment box below. 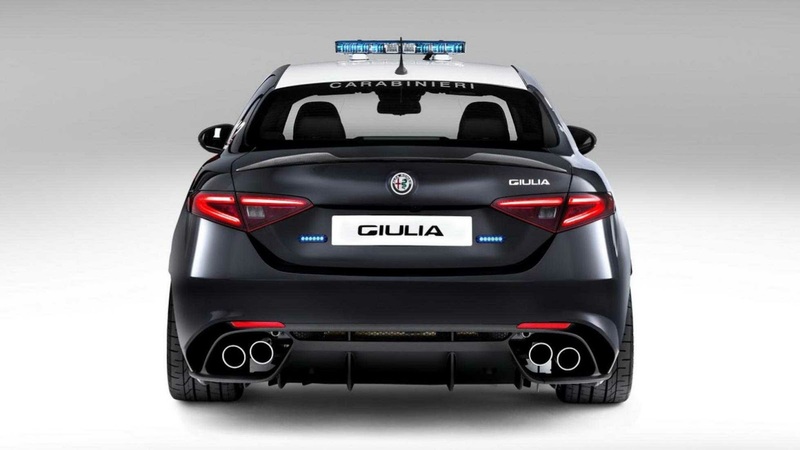 Italian Police Just Got Upgraded With The Alfa Romeo Giulia QV. You know the popular saying "Everyday is for the thief and one day is for the owner", well I think that is about to change in favour of the Italian police and men of the underworld had better watch out! 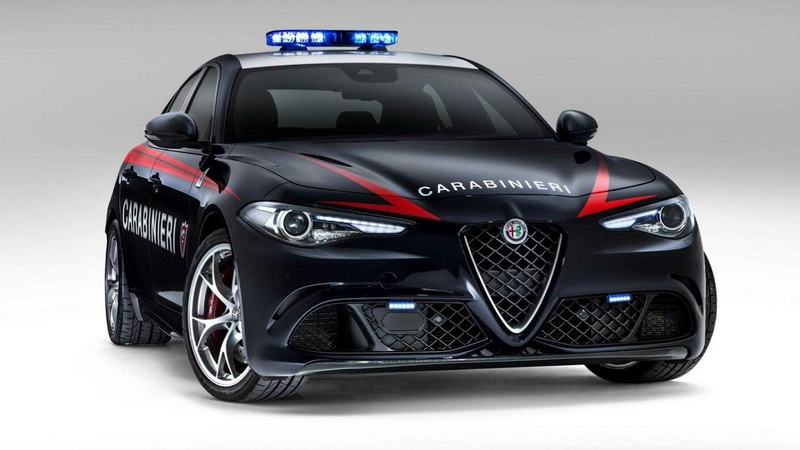 The latest addition to the Carabinieri's fleet is an Alfa Romeo Giulia Quadrifoglio Verde model packing 503bhp!!! That's badass and if you’re thinking about being a miscreant on Italian soil, it really is worth having a rethink. The QV’s twin-turbo V6 engine yields a 3.9-second 0-62mph time and a claimed 191mph top speed, so your chances of getting away are nearly impossible. The Carabinieri retained a manual gearbox for maximum driver enjoyment. Up top, a special LED light bar has been fitted, while the stylish interior has made way for essential police equipment, including a radio, defibrillator, weapon storage compartments, and a passenger-side tablet. The first two Giulia QVs have been delivered to the Carabinieri, with Fiat Chrysler boss Sergio Marchionne present to do the honours. The Giuliais part of a large deal to supply cars to the Italian police, with more Alfas as well as Jeeps and Fiats among them. What do you think about this development? let us know in the comment section below. 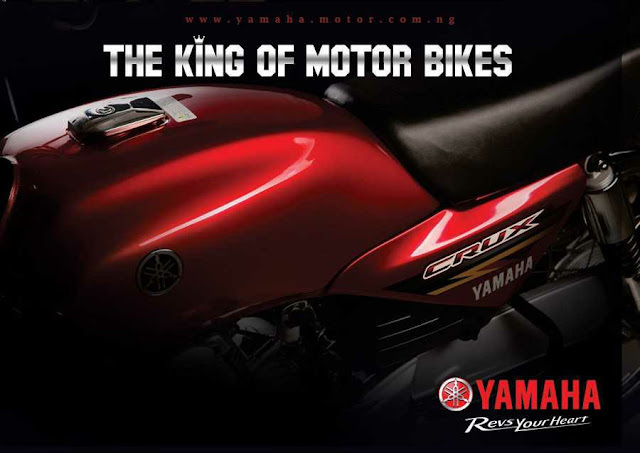 "CFAO Yamaha Motor Nigeria Limited has announced its target of 70,000 motorcycle units by 2018"
CFAO Yamaha Motor Nigeria Limited is set for the grand opening of its motorcycle assembly plant and modern showroom located at the Amuwo Odofin Industrial Scheme in Lagos on Friday 13th of May, 2016. 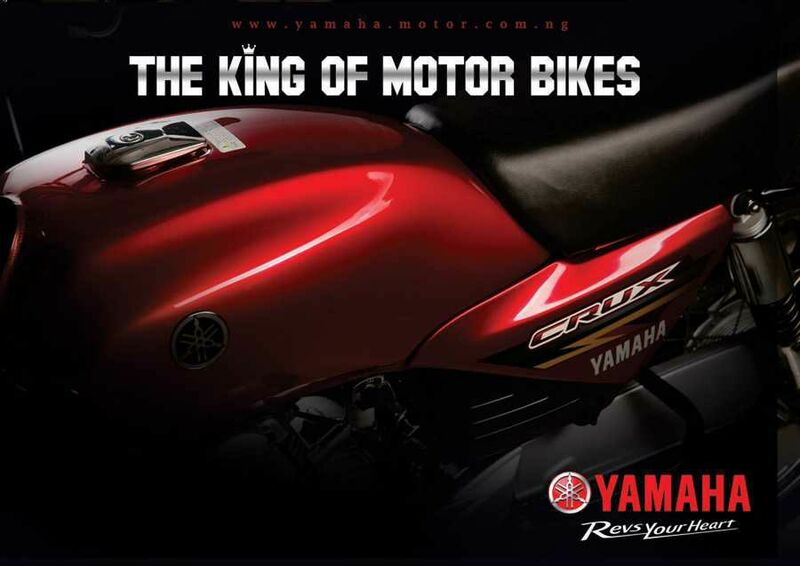 The launch of the motorcy­cle assembly plant and modern showroom located at the Amu­wo, Lagos, is coming after the successful testing and full ac­tivation of the Yamaha assem­bly line which has rolled out two models of Yamaha motorcycle Crux and Force X Royale. The Federal Minister of Trade, Industry and Investment, Mr. Okechukwu Enelamah and the Governor of Lagos State, Mr. Akinwumi Ambode have been invited to commission inaugurate the assembly plant and showroom, accompanied by the President of Yamaha Motor Corporation, Japan, Mr, Hiroyuki Yanagi, the Chairman of the management board, CFAO Group, Paris, France, Mr. Richard Bielle. The chairman of the company, Mr. Gbenga Oyebode and the Country Manager of CFAO Nigeria, Mr. Steve Faderin will also be in attendance. The Motorcycle Assembly plant and international showroom are products of the CFAO Yamaha joint venture which was consummated early last year for the purpose of meeting local land and water transportation needs and supporting the government’s aquatic agriculture initiatives. According to the Managing Director, Mr. Olivier Levigne, who is also the chief host, the assembly plant has the capacity for uninterrupted daily production with the target of 70,000 units by 2018, whilst the showroom showcases other Yamaha products such as Outboard Engines, Wave Runner (Personal Water Craft), All Terrain Vehicles (ATV), Generators and the Yamalube lubricants all of which are exclusively distributed in Nigeria by CFAO Yamaha Motor Nigeria Limited. Another highlight of the event is the special display of Yamaha power bikes and Moto GP world champion machine, which the guests will find very interesting. This seems like a good development, what dis you think? Drop your comments below. Which is more annoying? Getting A Scratch Or A Dent On Your Car? Living in a country where on daily basis, where no less than 400,000 vehicles of different make and models are moving actively on the road, from the big heavily powered long vehicles with no less than four pair and two moving gargantuan tyres to the good, bad, ugly, or cute moving four tyres and straight down to the three tyre keke and two tyre powered by motor or pedalling. Obviously it's a very long list of vehicles waiting to get themselves acquainted with your sweet ride therefore I think you should add getting a dent or scratch to your list of things that are certain in life. It also begs the question; what do you as a car owner think or imagine whenever you get your car started and take her (forgive me there but i like to think them as a she) into the crazy-wild road? It's certainly not the pot holes or traffic congestion or that old woman who stands in the middle of the road, right in front of your car for 5 minutes praying and begging you not to hit her so she can cross over to the other side of the road that will leave you worried after driving for the day. So I ask you, which gets to you more? 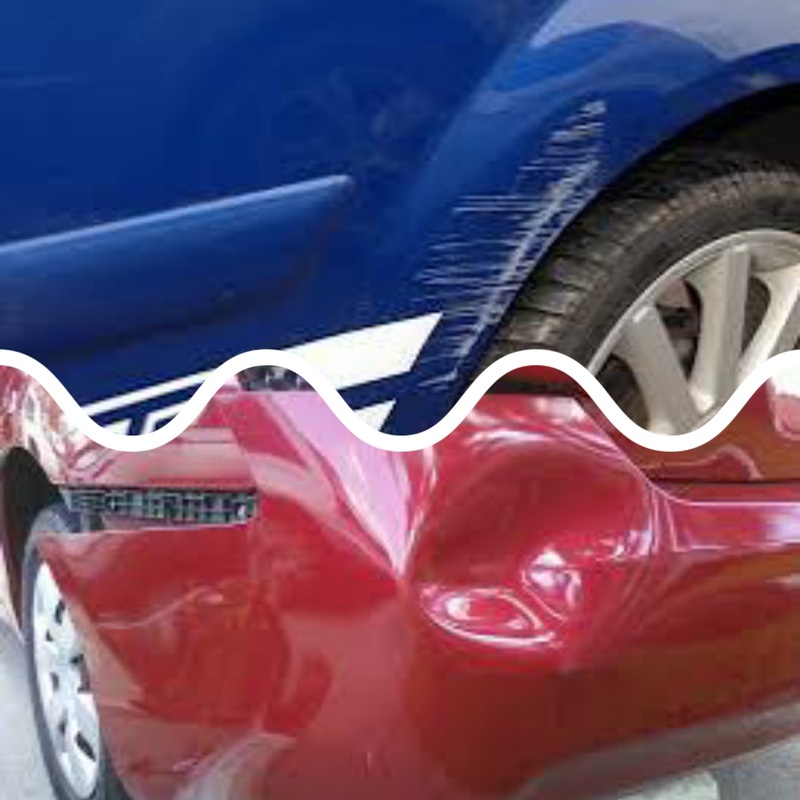 Getting a scratch or a dent on your car? Let us know by leaving your comments below.